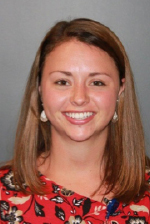 Stephanie Guay is a PGY-1 Pharmacy Resident at Elliot Hospital, who will complete a longitudinal ambulatory care learning experience. Born and raised in Maine, she received her doctorate of pharmacy from Western New England University in Springfield, MA. Her professional interests include management of chronic health conditions, anticoagulation and geriatrics. In her free time, Stephanie enjoys spending time with family and friends, being on the lake, and reading. 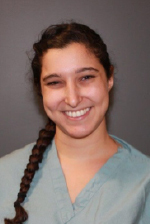 Emily Hillel is a PGY-1 Pharmacy Resident at Elliot Hospital. She was born and raised in Plainview, NY. She received her Bachelors of Science in biology with a concentration in pre-med and a minor in chemistry from Oneonta State University, NY and received her Doctorate of Pharmacy from Northeastern University in Boston, MA. Her current professional interests include infectious disease, critical care, and pediatrics. In her leisure time, Emily enjoys traveling, trying/cooking new foods, and spending time outside either barbecuing or hiking. Fun facts: Emily used to be an EMT and was on her college’s kickline team.